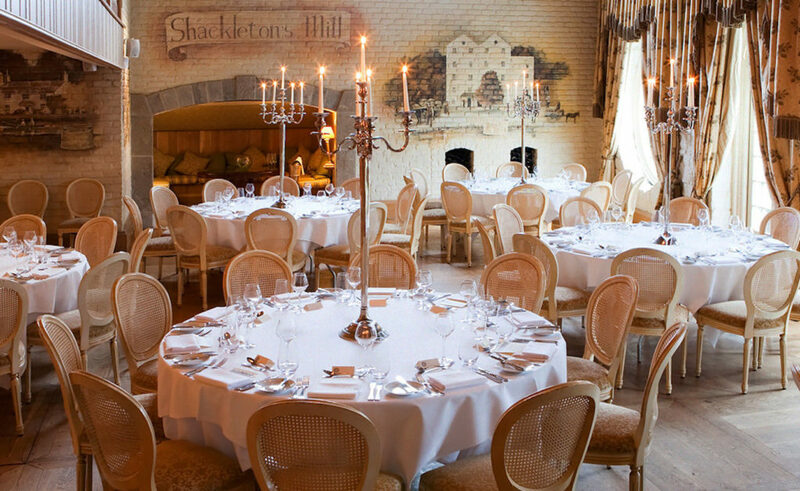 Explore our collection of Dublin’s finest event venues to hire for any occasion. 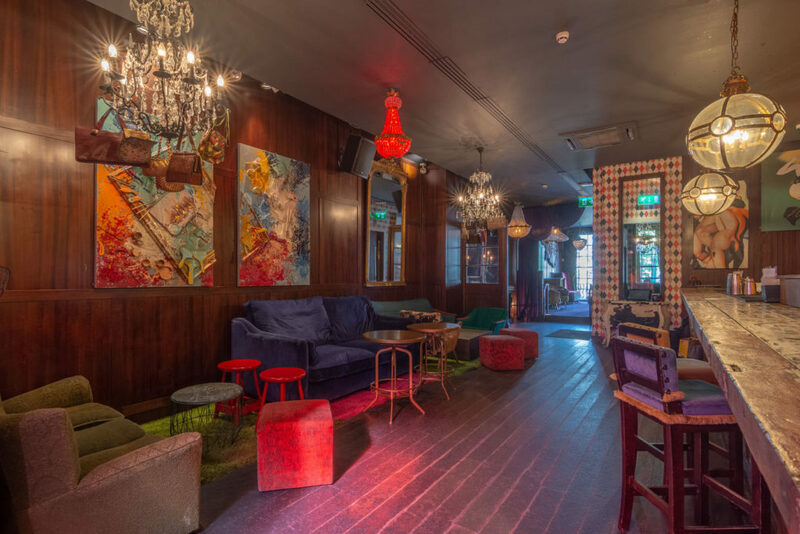 Whether it’s a trendy party venue you are in search of for a team celebration or a private dining room for an intimate get-together, we’ve uncovered the best venues in Dublin. For corporate events, this city has it all, from blank canvas event Spaces to state-of-the-art meeting rooms. We’ve uncovered the best Dublin venues for hire to bring you closer to the perfect setting for your next event. BANG Restaurant’s Scott Talon private dining room has everything you need for your next private dinner or intimate work event. 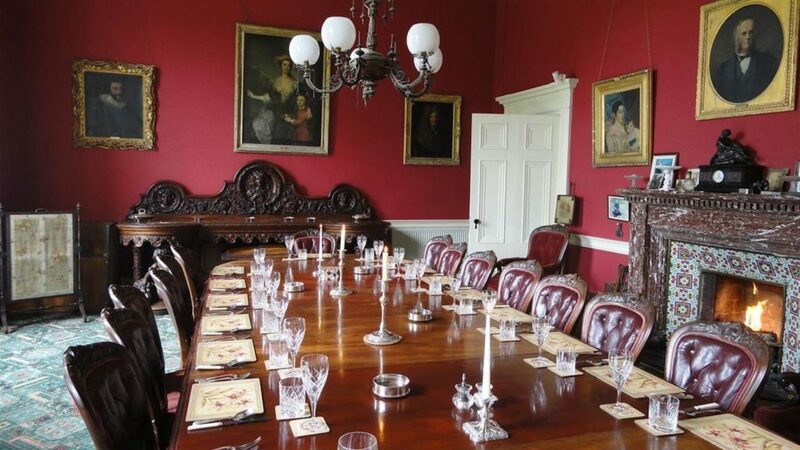 Located in South City Centre Dublin, this luxurious and opulent dining room can seat up to 45 Guests for either a private dinner or cocktails and canapés reception. From corporate dinners and intimate meetings to celebratory private events, the Scott Talon private dining room is sure to impress. 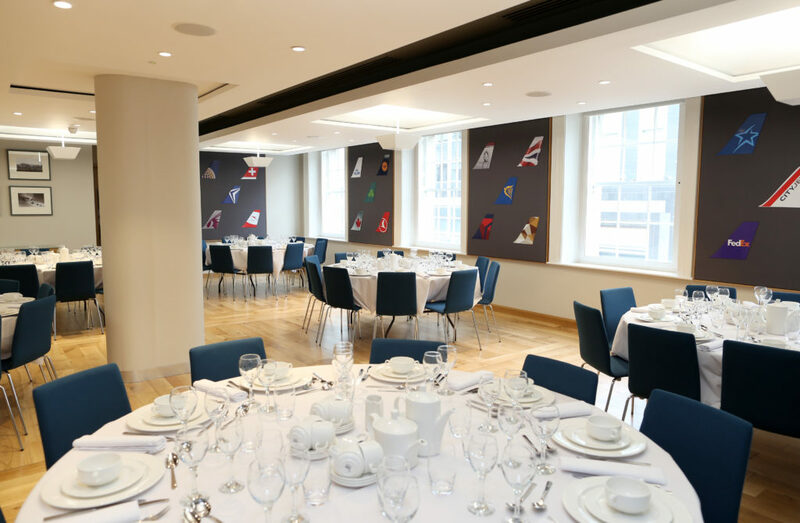 The Irish Aviation Authority’s Omey dining room is a flexible and versatile Space, ideal for hosting a number of events. From private dinners and workshops to meetings and small conferences, this Space has something for everyone. The Omey dining room can seat up to 80 Guests and comes with a range of amenities. Don’t miss the excellent WiFi capabilities and helpful staff, ready to answer any of your questions. For a truly luxurious private dining experience, look no further than Cliff Townhouse’s Private Dining Room and Aviator Bar. This stylish dining room is located inside a luxury boutique townhouse on St. Stephen’s Green. This is considered to be one of the finest venues in Dublin. 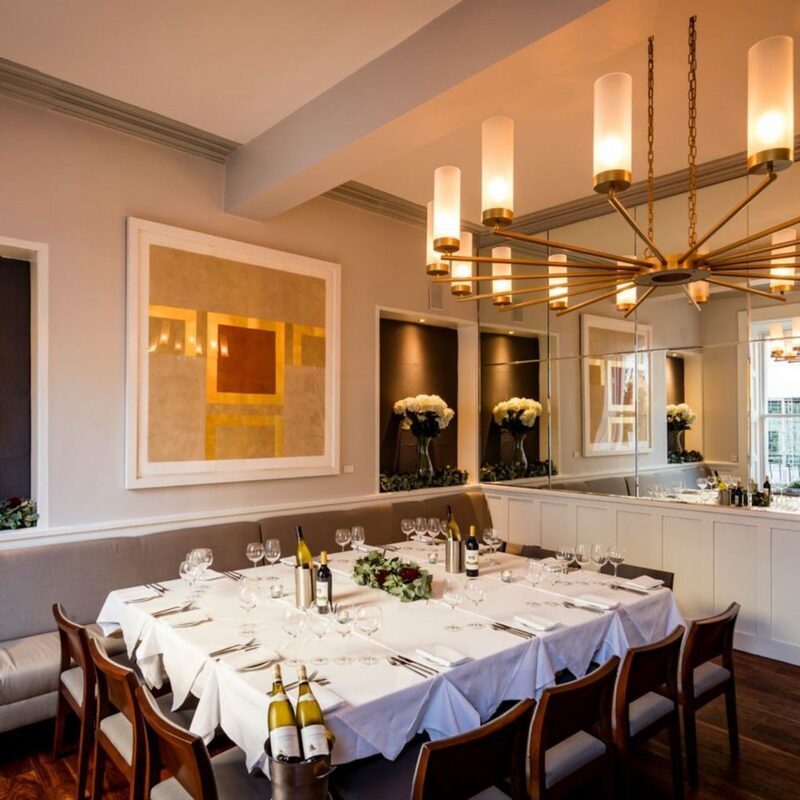 Cliff Townhouse’s Private Dining Room and Aviator Bar can host up to 44 Guests for a sit-down meal, 60 for a standing reception or even 120 if the Space is opened up further. For the ultimate private dining room experience like no other, choose the Brewers’ Dining Hall at the Guinness Storehouse. This impressive and historic venue features all your favourite Irish dishes (and Guinness, of course!). Gather your team at spacious tables and celebrate in style, surrounded by a lively and welcoming atmosphere. No matter the style and size of your event, this truly unique private dining Space is sure to wow your Guests. Overlooking the stunning Dublin Bay is Royal Marine Hotel’s Dún Restaurant. This beautiful venue is the perfect Space to host your next private event or dinner. With a seating capacity of 140 Guests, Dún Restaurant is a truly versatile venue. 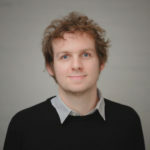 The restaurant features a carefully-curated selection of dishes, courtesy of Head Chef Karl Smith. Choose from Kenmare Select Smoked Salmon, Pork Cheeks, Rack of Lamb & Sautéed Hake Fillet and more. 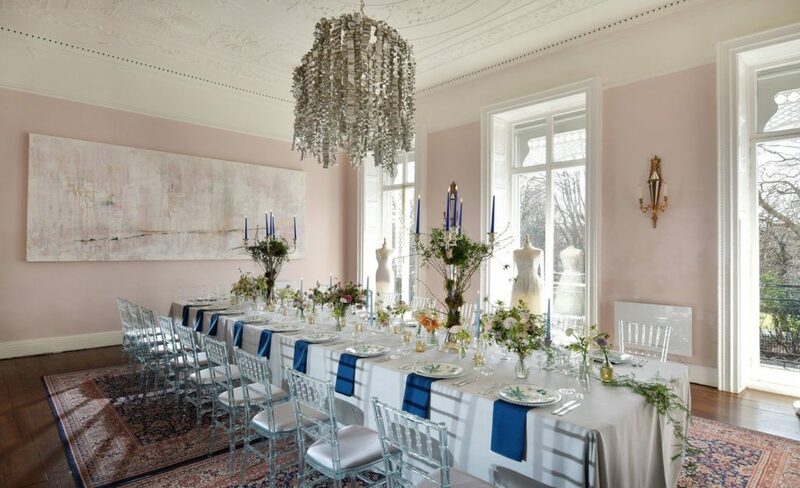 Rathsallagh House’s private dining room is a stunning venue for hire in Dublin. This stylish Space can accommodate up to 120 Guests and comes with everything you need to host a successful private dinner. Rathsallagh features a truly impressive wine list and some of the best dining in the city, using the freshest ingredients. Located just one hour south of Dublin Airport, Guests can expect a private dining experience in a peaceful oasis, set against a beautiful parkland backdrop. 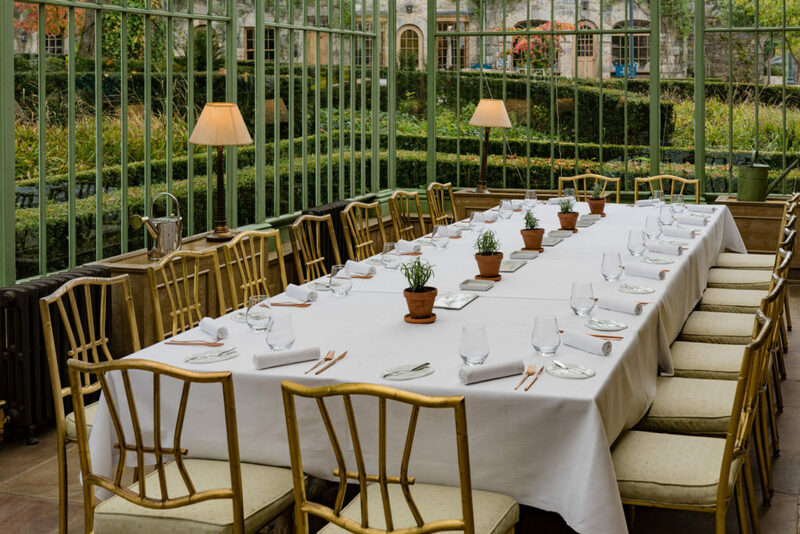 For a private dining experience like no other, hire the Orangery at Cliff at Lyons. One of the most stylish venues in Dublin, the dining room of this sleek gourmet restaurant can accommodate up to 40 Guests. The focal point of this botanical-themed Space are the glass walls, domed ceiling and unique menu, specially-crafted using the produce of the day. Guests can expect delicious menu items, including rosé veal from Kildare and Galway oysters, courtesy of Chef Nathan Diamond. No matter the style of your next private dinner or event, the Orangery is guaranteed to impress your Guests. The Dining Room at Temple House Estate is the ideal Space to host a memorable private dinner. Whether it’s for an intimate event or larger party, this room has everything you need to host a successful event. The large mahogany table and crystal decor give the Space a unique elegance. The 1,200 acres of gardens and parkland create a truly stunning backdrop that your Guests will never forget. 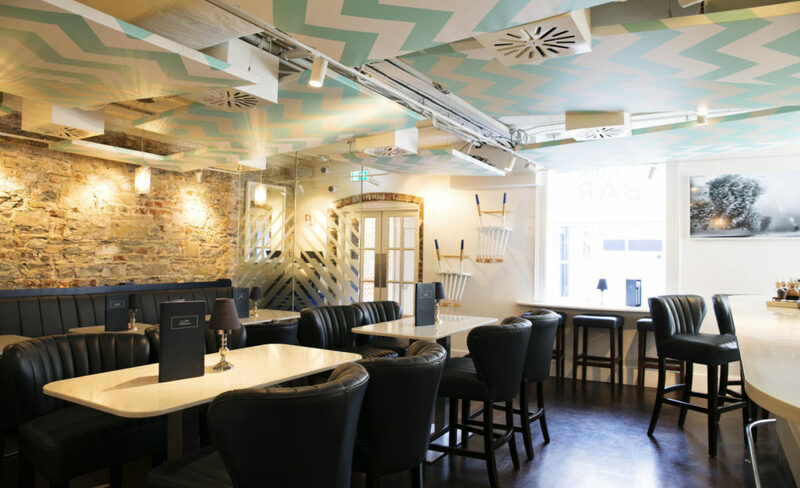 This elegant bar in Dublin has everything you need for your next party or work gathering. Designed by an internationally-acclaimed studio, Guests can expect lavish interiors, modern hanging light fixtures and more. Zozimus’ menu features exquisite Asian dishes and culinary favourites. This includes Hong Kong-style Dim Sum and authentic Chinese cuisine. Don’t miss the drink selection, including an impressive wine and cocktail list and plenty of small-batch spirits. House Dublin is one of the city’s most spectacular party venues in the city. This secret oasis in the city centre offers stylish interiors and a calm, welcoming garden, offering a stunning backdrop to your next event. 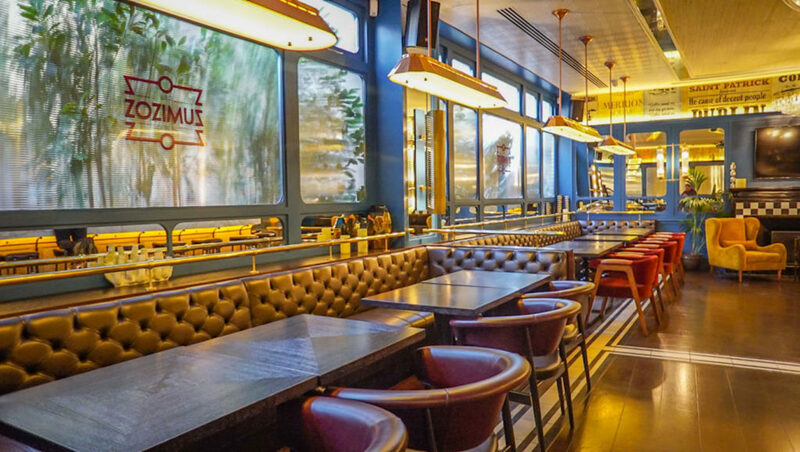 Whether it’s a private Christmas party or smaller team get together, this Space has plenty of features available to make your event a big success. Take advantage of the carefully-curated menu items and canapes, along with expert bartenders on hand to prepare the finest cocktails for you and your Guests. Dublin’s Market Bar is a unique, historic Space located in one of the city’s most diverse areas. 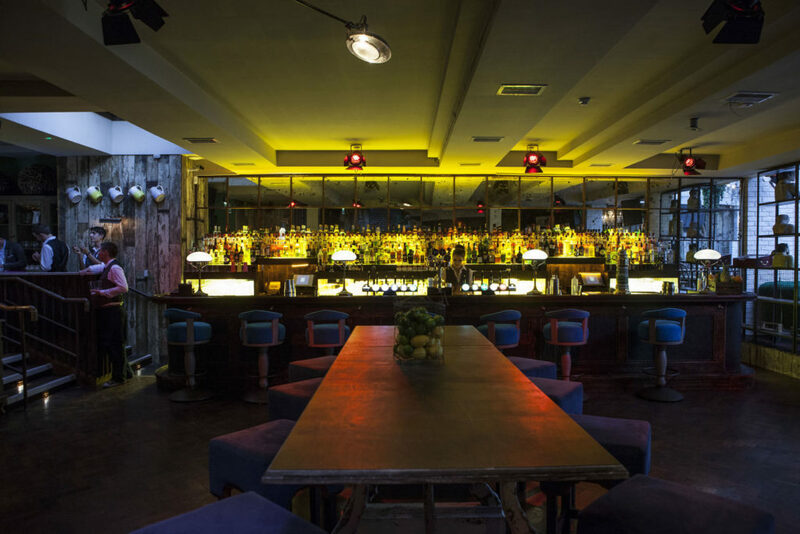 Market Bar offers a range of individual party Spaces for hire, with a seating capacity ranging from 60 to 1200. 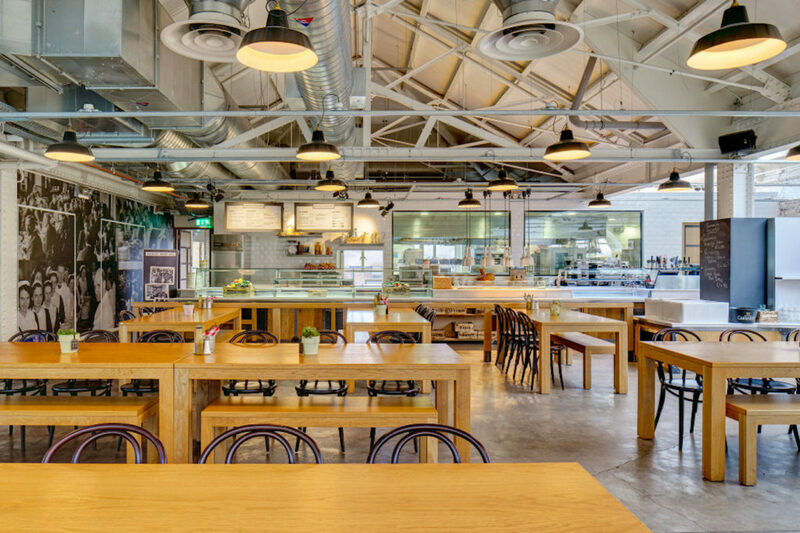 Each Space has its own charm and vibe, making Market Hall a fun, versatile venue for your next party. The options are plentiful when it comes to event features, from professional light, sound and staging capabilities to expert event production options. No matter your event, this eclectic and impressive venue is sure to wow your Guests. For a truly remarkable party venue in Dublin, look no further than Cliff at Lyons. This luxury Space consists of several historic buildings in rural Kildare, only 30 minutes drive from Dublin and 20 minutes from Dublin Airport. Within Cliff at Lyons, you will find many individual areas that provide the perfect backdrop for your next party. The Mill is a stunning and versatile room that comes with everything you need for your next event, including a bar and terrace for alfresco drinks or dining. Few venues in the Irish capital are more popular than the Back Bar at Xico. 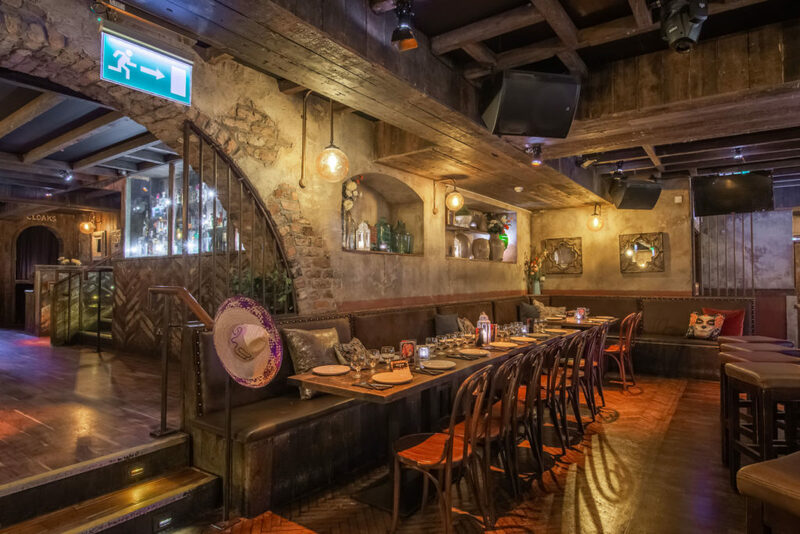 This underground Mexican style party cavern is a lively setting for nightly fiestas in the heart of the city. The interior has a golden glow that illuminates the Space while the rustic feel to the venue gives the Back Bar the perfect intimate feel for a private party or team celebration. One of the most sought-after party venues in Dublin is the Guinness Storehouse. 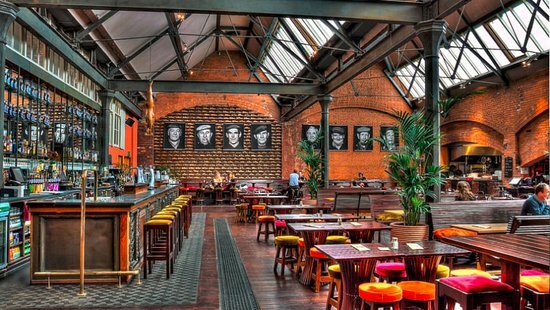 Beneath the venue’s historic high ceilings sits the Gravity Bar. This vast party Space is perfect for corporate parties for up to 270 Guests. 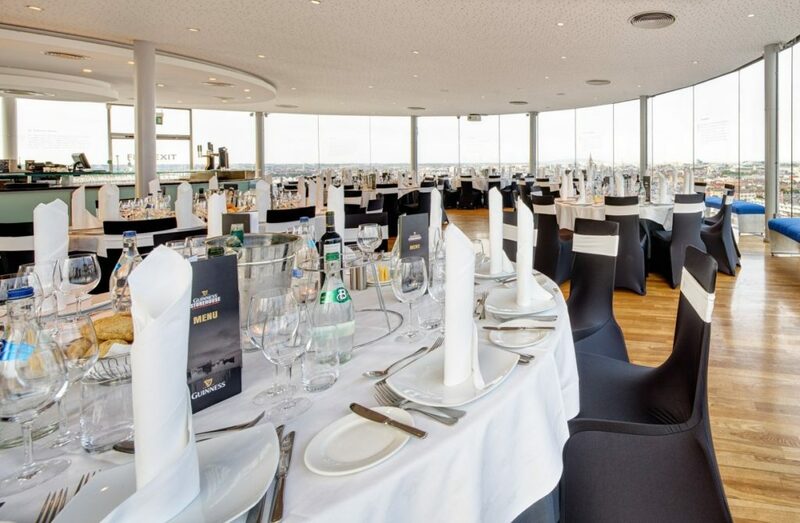 The venue’s biggest selling point has to be its 360-degree views of the city offering a magnificent lookout onto Dublin’s skyline. The perfect view with which to enjoy a perfectly poured pint. 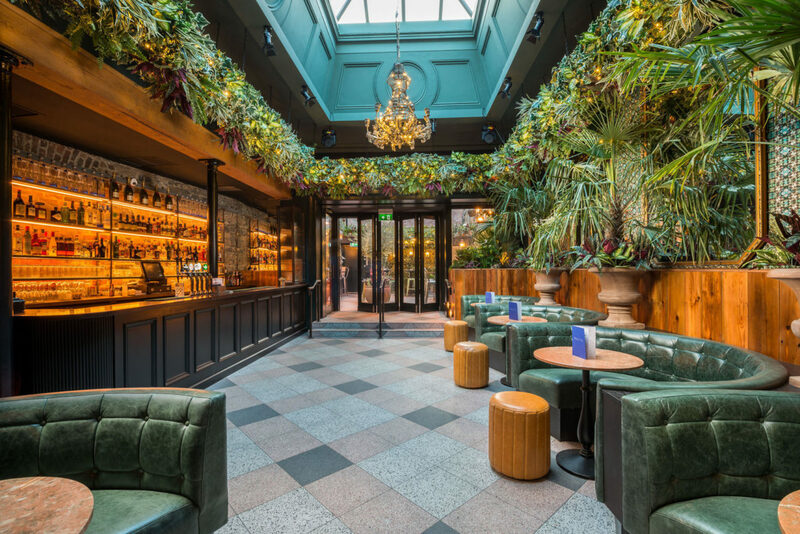 If you’re looking for a luxurious party venue in Dublin city centre then the Urchin Bar at Cliff Townhouse is the place for you. The Space is the cosy downstairs sister of this stunning guesthouse and is ideal for a wide range of events. Whether it’s a cocktail party you are planning, a team celebration or simply a get-together with friends, this Georgian-style, contemporary Space will welcome you with open arms. 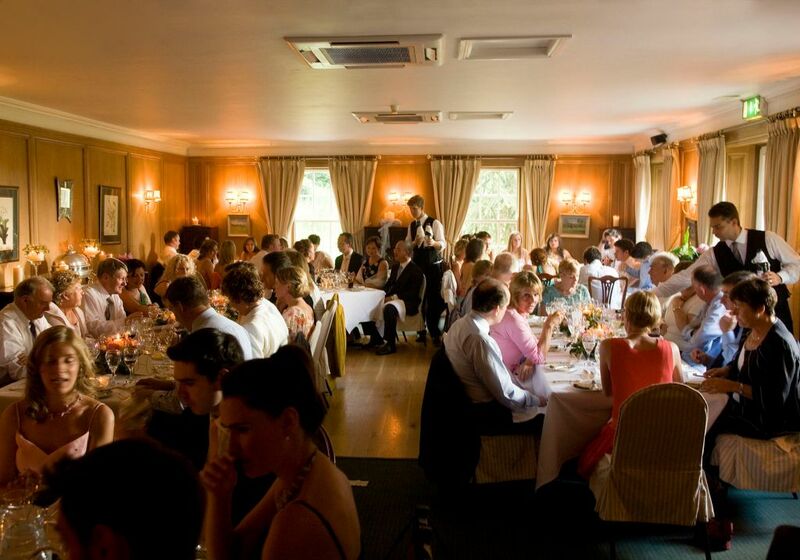 The Oak is a delightful setting for any party with Spaces that can cater for all needs. The Old Oak Pub is available to hire and is regularly packed with people enjoying live music or sport every day of the week. If it’s a more intimate celebration you are planning then the Private Bar is the Space for you. 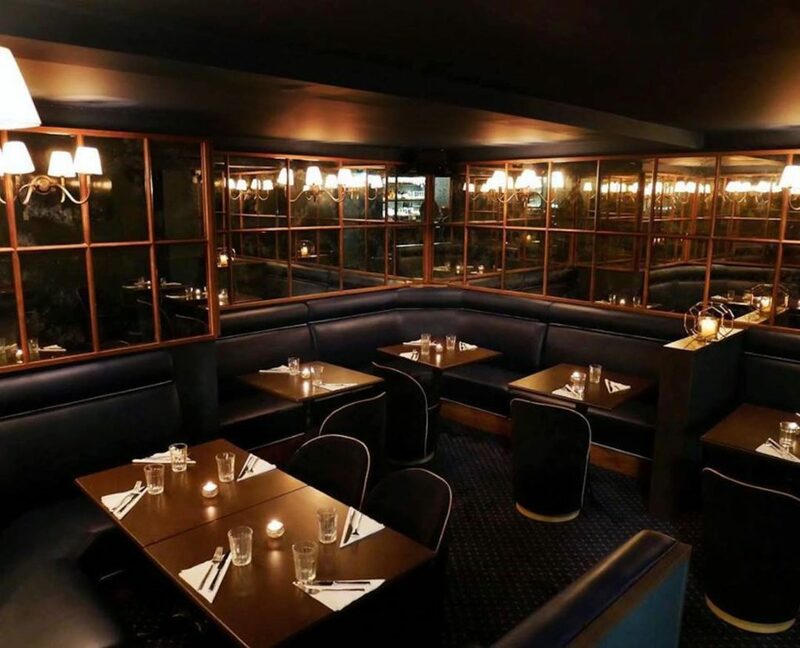 The Space radiates elegance and old-world charm and provides contemporary Irish food and a full drinks menu that will effortlessly take you from day to night. 37 Dawson Street is a colourful and curious drink emporium sat in the heart of Dublin’s busiest nightlife neighbourhood. Stepping inside is always an adventure. The walls are lined with a delightful assembly of the wonderfully weird, from vintage paintings and posters to giant gargoyles and moose busts. Tucked at the back of the building you’ll find the Whiskey Bar. A luxurious retreat where you can sit back and relax in the company of friends and colleagues. 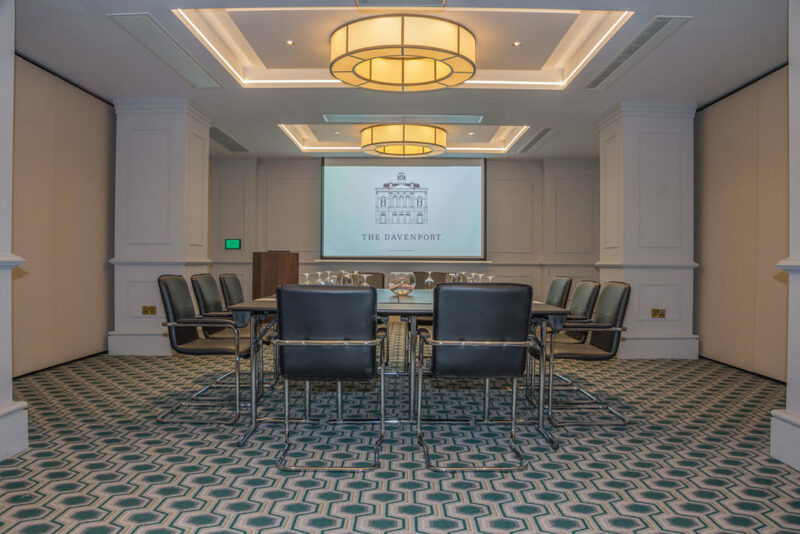 For a Dublin small meeting room that combines grandeur and decadence with reliability, Trinity at The Westbury is a solid choice. 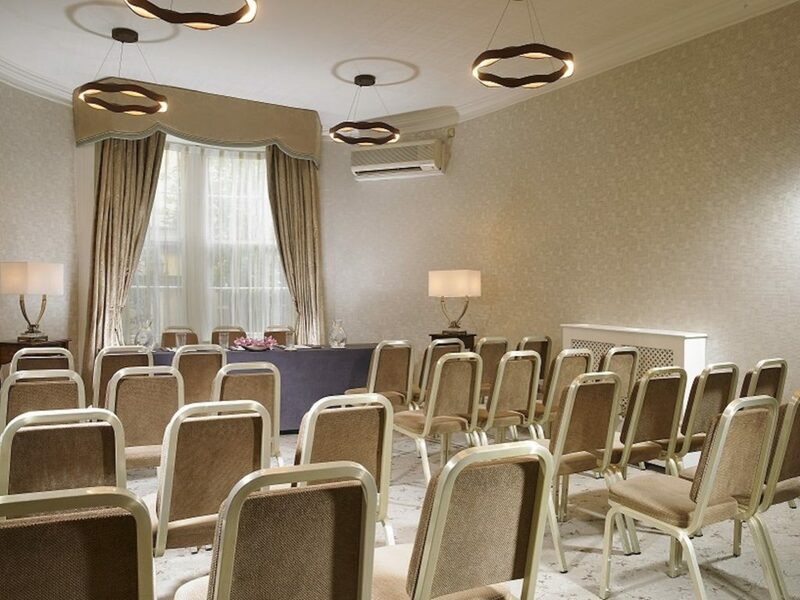 Suitable for up to 20 delegates, this spacious meeting room is adorned with original artworks. Chandeliers, a marble fireplace and plenty of natural light combine to produce a comfortable environment. But grandeur doesn’t mean this suite isn’t equipped with all the technology you’d need to run a productive meeting. The meeting room comes with free WiFi and conferencing equipment. If you wish to transition from business to pleasure the Space can also be turned into a glamorous private dining room which looks especially magical when candle-lit. 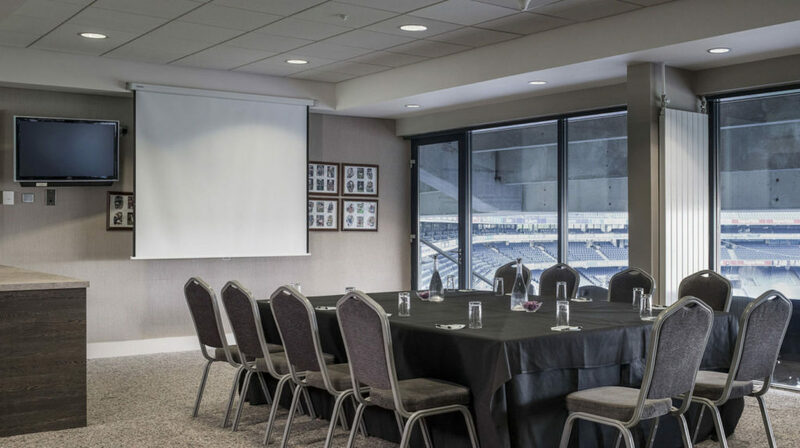 With plenty of natural light, state-of-the-art technology and impressive views of the stadium, Croke Park’s meeting rooms have everything you need to make your next meeting seamless and inspiring. Whether you prefer a boardroom-style or round table layout, this Space is large, versatile and can be tailored to suit your individual needs. Looking for a meeting room like no other? The Nash Suite at Finnstown Castle Hotel might be just the choice for you. This Space features gorgeous interiors against a stunning backdrop. Guests can expect a grand boardroom-style table, elegant seating, refreshment capabilities and rich carpeting. Don’t miss the other features of the Nash Suite, from fast WiFi and adaptable furniture to natural lighting and built-in screens. The Boardroom at Buswells Hotel comes equipped with everything you need for your next meeting or workshop. Featuring elegant interiors, comfortable seating, air conditioning and high-quality technology, this functional Space is sure to impress. 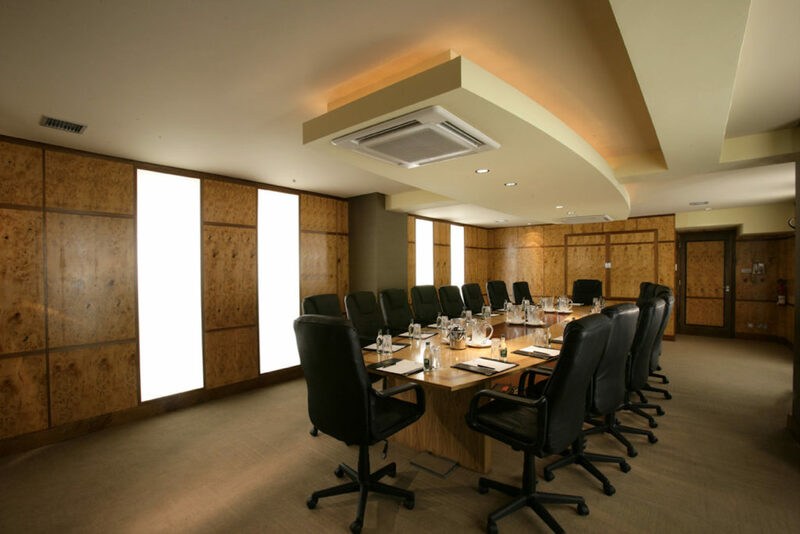 The Boardroom can accommodate up to 30 Guests and also comes with refreshment capabilities to ensure maximum comfort. Spaces Dublin offers plenty of excellent rooms for your next meeting. 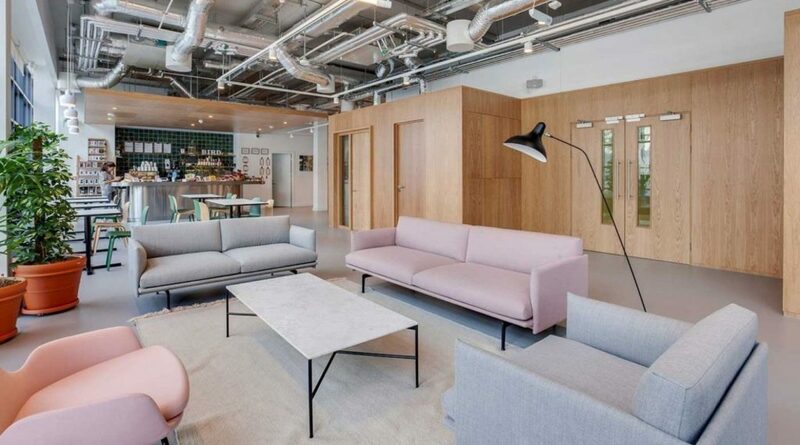 Located in a sleek and contemporary building on Sir John Rogerson’s Quay, SPACES’ proximity to tech giants like Google and Facebook make this venue an inspiring place to host a corporate meeting or workshop. This versatile meeting room has a 6-Guest capacity and is also conveniently located near the light rail service from Pearse Metro Station. No matter the style of your next meeting, this meeting room Space is sure to get the ideas flowing. 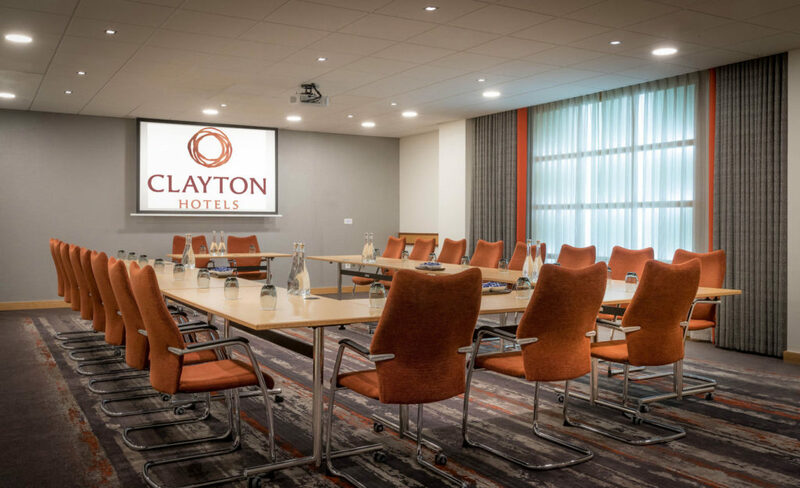 Conveniently located near Dublin Airport, these meeting rooms have a seating capacity of 40 people. Guests can expect stylish interiors and a welcoming atmosphere that is sure to inspire. All meeting rooms have plenty of excellent features and amenities, including easy-to-use AV systems, high-speed WiFi, air conditioning and even lunch options to keep your Guests comfortable throughout. Don’t miss the hotel’s complimentary shuttle, which takes attendees to Dublin Airport and departs every 20 minutes 24/7. 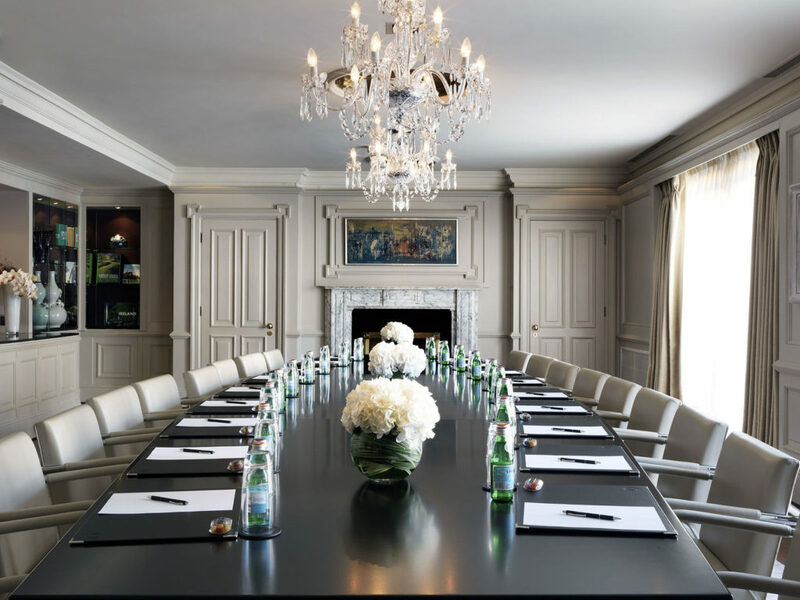 For a meeting room with style and elegance, look no further than the boardroom at The Davenport. This grand room will take your meeting to the next level, featuring comfortable seating, modern light fixtures and sleek Georgian-influenced interiors. The Boardroom can accommodate up to 42 Guests, making it a truly spacious place to host your next event. This flexible Space is also conveniently located close to Dublin’s many transport links. 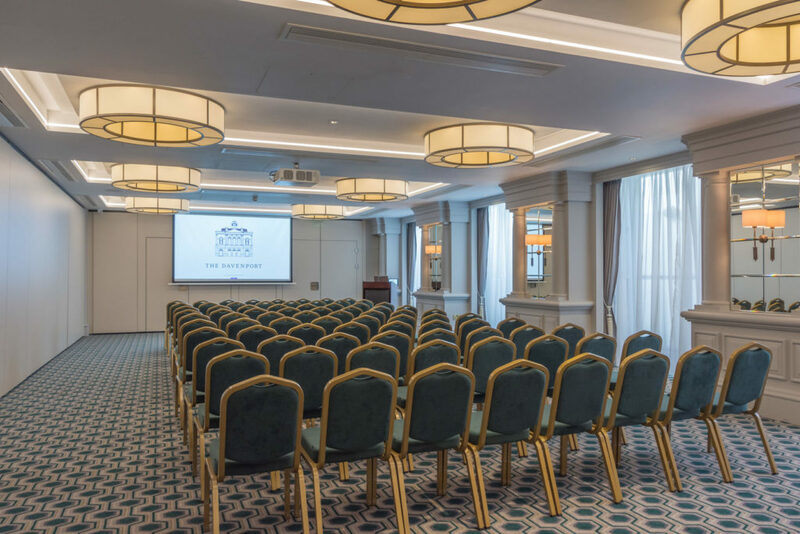 Nestled in the heart of Dublin, The Leinster Suite at Buswells Hotel is a truly unique Space to host your next meeting. The Leinster Suite can accommodate up to 14 Guests. This flexible room comes equipped with everything you need to host a successful event. This includes state-of-the-art technology, air conditioning and even a private lounge. With these amenities and more, your team is guaranteed a comfortable experience. 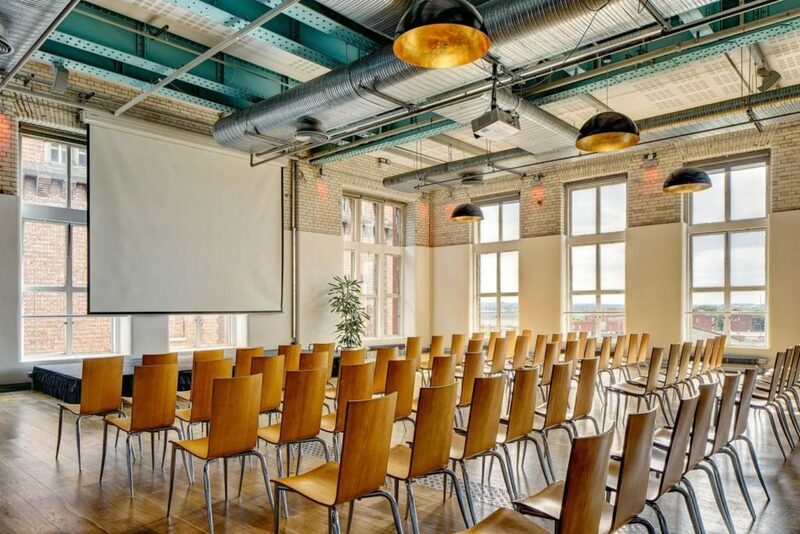 Looking for a truly versatile meeting room hire in the heart of Dublin? 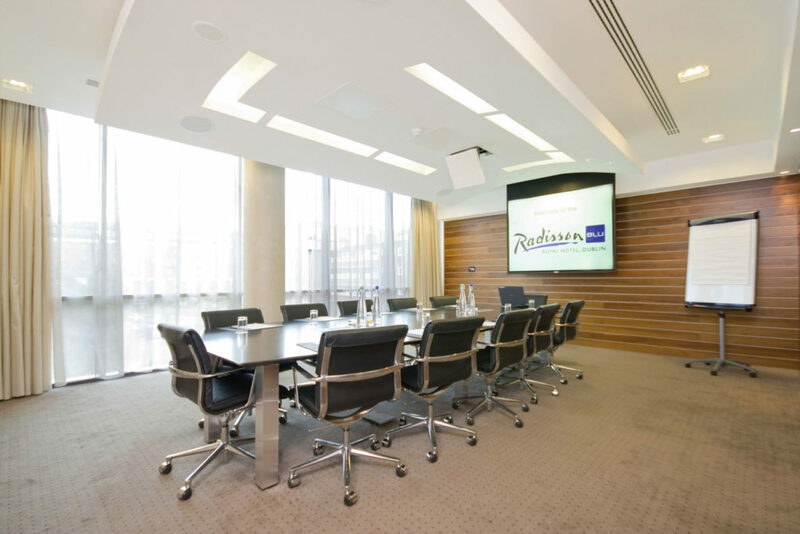 Look no further than the Connolly Boardroom at the Radisson Blu Royal Hotel. This centrally-located Space is just a five-minute walk from St. Stephen’s Green and Temple Bar. The focal point of this Space is the stunning landscaped terrace garden, offering picturesque views of Dublin Castle. As a bonus, this Space also offers an excellent buffet, plated lunch and refreshments, guaranteed to keep your Guests comfortable and content. When it comes to hosting a conference, functionality is crucial. That is why the Davenport is an excellent choice for your next big conference. This large Space combines style, versatility and excellent service, and is located at the heart of the city. Take advantage of the many features The Davenport has to offer. This includes Dublin’s fastest hotel WiFi and excellent AV capabilities. No matter the size and style of your next conference, The Davenport has everything you need to make your event a big success. 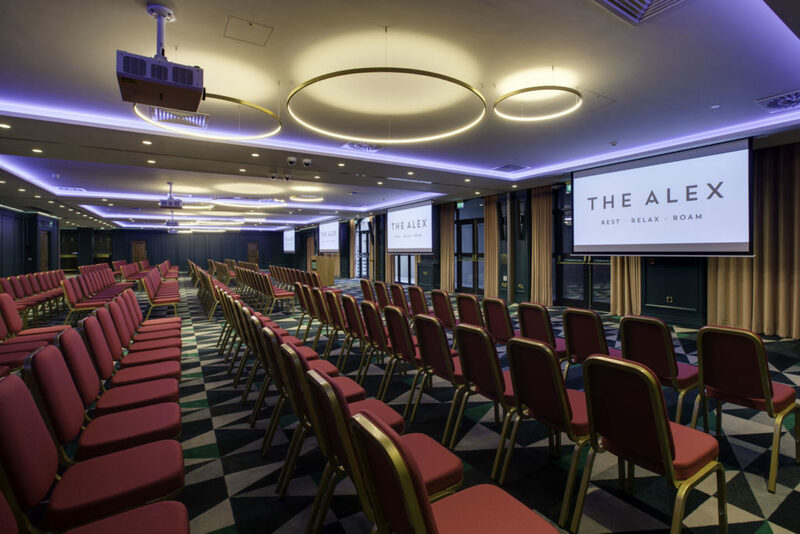 With its convenient location in Dublin’s city centre, boutique-style ambience and plenty of features, The Alex is an excellent place to host your next inspiring conference. This spacious venue can accommodate up to 400 Guests and has everything you need for your next event or conference. Whether it’s the state-of-the-art AV and tech equipment, excellent WiFi or catering capabilities, The Alex is able to meet all your conference needs and is sure to impress your Guests. There are fewer more iconic settings in the Irish capital than the Guinness Storehouse. Within this famous building, you will find a host of stunning Spaces in which to hold a conference. The Arrol Suite is an airy, welcoming Space which can host up to 500 Guests for a large conference. For flexibility, the Space can be transformed in any way shape or form to suit your specific needs. For smaller conferences, both the Gravity Bar and Arthur’s Bar offer unique experiences and stunning views over the city. 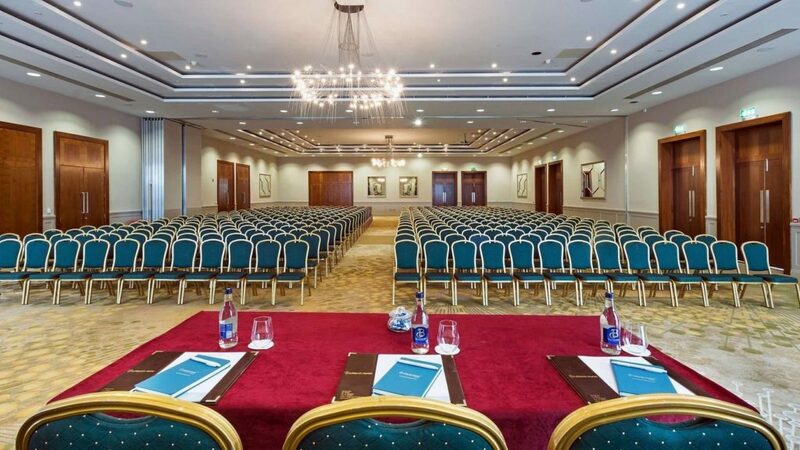 Croke Park’s Hogan Mezzanine is the ideal venue to host a conference in Dublin. This Space has it all, from built-in AV facilities, LED lighting capabilities, HD projector and large screen. With 1,645 square metres of event Space and stunning views, the layout options are plentiful and allow for maximum flexibility. Regardless of the size of your next conference, Croke Park’s Hogan Mezzanine Space is bound to inspire creativity and ensure your event is seamless. 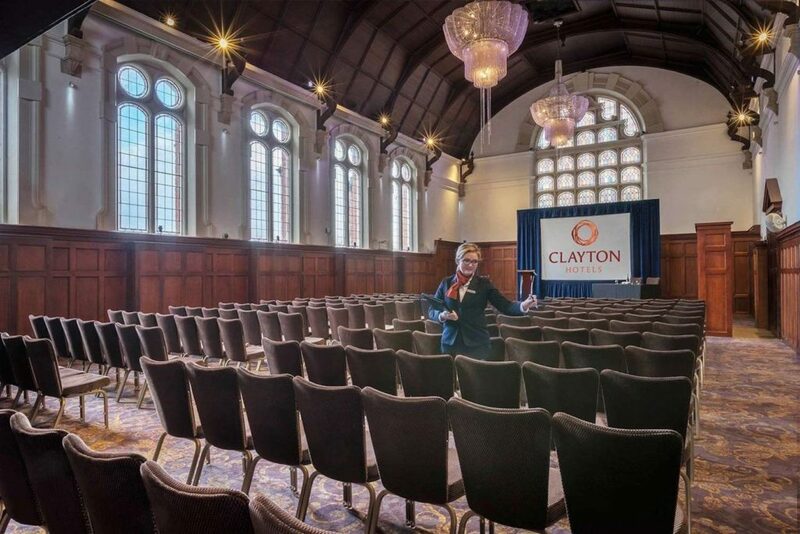 For a conference room hire that truly has it all, look no further than Clayton Hotel Ballsbridge. This multifunctional Space comes with plenty of excellent features to help make your conference a success. This includes dedicated staff ready to answer any questions to top quality electrical equipment. With its warm, welcoming ambience, plenty of natural lighting and comfortable seating, Guests are sure to feel relaxed and inspired at your next big conference. This flexible venue combines two stylish suites in the CityNorth Hotel and Conference Centre to create the ideal conference room. Together, this venue can combine up to 650 delegates theatre-style or 450 seated. What sets this Space apart is how self-functioning and versatile it is. With state-of-the-art audiovisual equipment, plenty of natural light and stylish interiors, your Guests will be both comfortable and inspired. Need to travel shortly after your event? CityNorth Hotel and Conference Centre is located 15 minutes to Dublin Airport and only 30 minutes from the city centre. 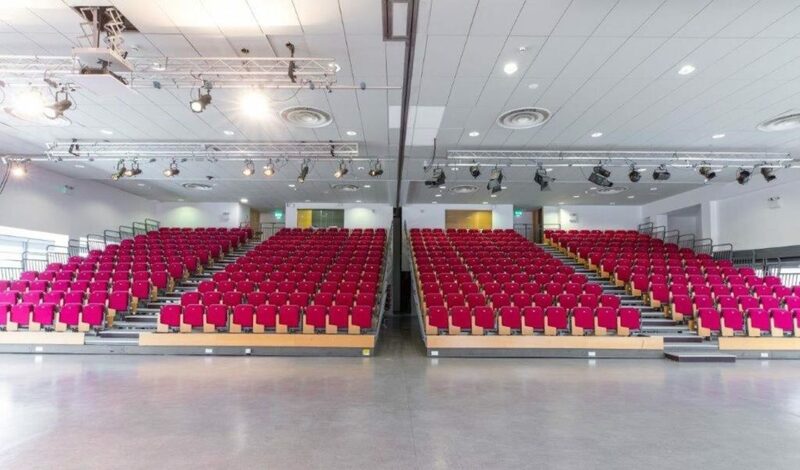 Located just 15 minutes outside of the city centre, The Auditorium at Griffith College is a dependable and reliable setting for any conference. The vast Space is equipped with tiered seating for up to 550 Guests. The Space is equipped with all the necessary technology to allow your event to run seamlessly. That includes state-of-the-art lighting and a quality sound system. You will even find a dedicated team on hand to ensure your conference goes without a hitch. 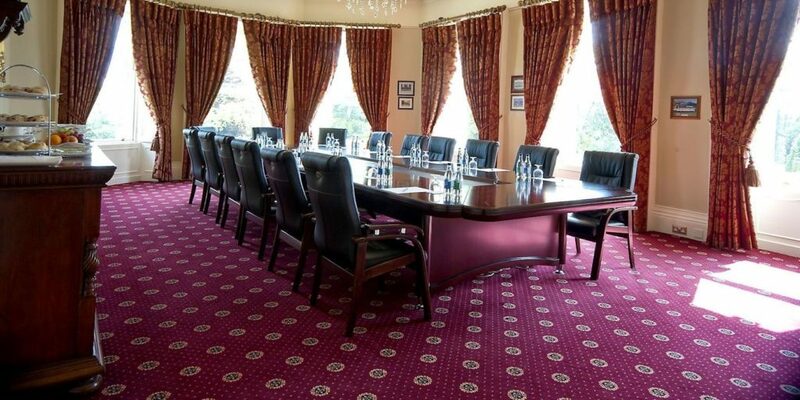 Griffith College Conference Centre can also be separated into three sections to suit your needs. Onsite you will also find a restaurant and bar to provide you with refreshments throughout your event. So, when looking for the Dublin venue for hire that will illuminate your event and inspire your Guests, our collection of Spaces will bring you closer to the perfect Space. If you need some more inspiration then take a look at other venues available to hire in Dublin.